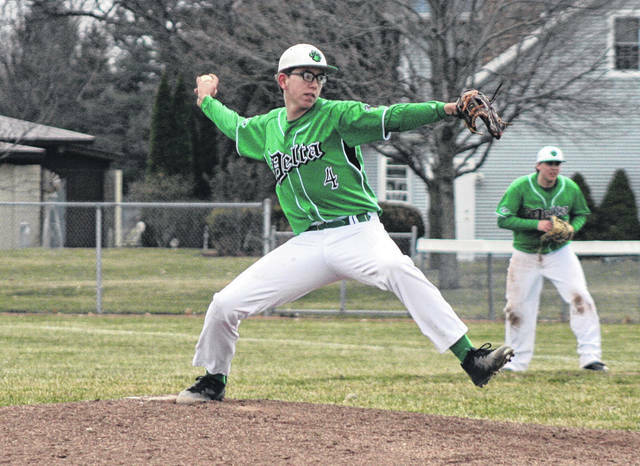 Chase Stickley of Delta pitched three innings of relief Thursday against Swanton. He did not allow a run during his time on the mound. 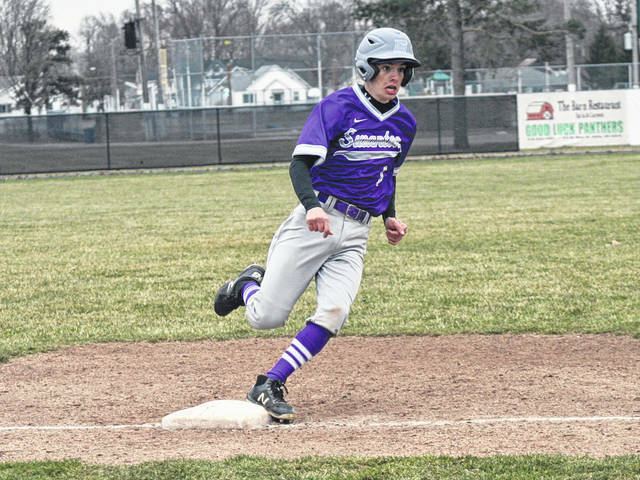 Carter Swank of Swanton advances to second after a Delta wild pitch during a non-league game Thursday. Delta cut the deficit to 10 in the bottom of the inning with Austin Michael’s RBI single that plated Chase Cooper. However, they also stranded a pair of runners as Nowakowski, on in relief of Austin Luce, struck out the next three batters to end the game in six. The Dogs were at North Central Saturday, topping the Eagles 10-1 in six innings. 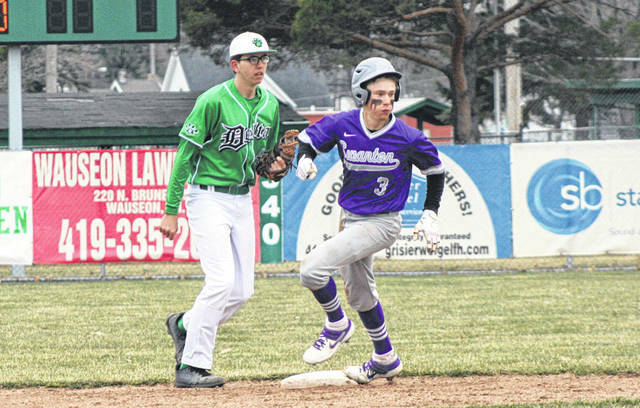 The Panthers remained home the rest of the week where they defeated Woodward 14-2 Friday, but fell 14-1 and 13-1 to Otsego in a doubleheader Saturday. Swanton begins the Northwest Ohio Athletic League season Monday at Evergreen. They next host Pettisville Tuesday. Delta begins league play at Liberty Center Monday. The Panthers will welcome Woodmore on Tuesday.